If a 5 Star West Sussex luxury spa break hotel if what you’re looking for, then look no further than the Alexander House & Utopia Spa. 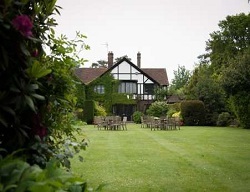 This award winning manor house is set within 120 acres of beautiful West Sussex countryside. Also located within the county is the Chakra Spa at Crowne Plaza Felbridge, offering superb accommodation and spa facilities to match. A spa break in West Sussex would be a great experience. If you need a few days of relaxation before heading off on holiday then a spa break in West Sussex would be the perfect place. Located within the county is the London Gatwick Airport making our spa break venues ideal to stay on a spa break and then catch you flight the next day. Sussex has a beautiful coast line with large sea side towns such as Bognor Regis, Little Hampton and who can forget the beautiful town of Brighton. All of our venues offer great access to any of these towns making a day trip out to the beach a hard thing to resist. Why not take in the breath-taking scenery whilst you have a round of golf at one of the many courses throughout this beautiful county.